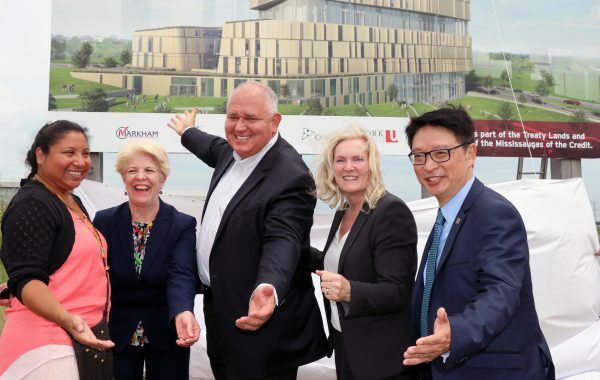 Toronto, ON, Monday, July 23, 2018 – Today, Rhonda L. Lenton, President and Vice-Chancellor, York University, together with Frank Scarpitti, Mayor of Markham and Amy Desjarlais, Traditional Knowledge Keeper, York University, formally acknowledged the traditional lands at the site of York’s future Markham Centre Campus. The ceremony comes in advance of the construction phase, set to begin this fall. The City of Markham is in the process of transferring almost five acres of land, located at Enterprise Boulevard and Rivis Road, over to York University. The new campus is set to open in 2021 and includes an important academic partnership with Seneca College. “Through this land acknowledgement we are recognizing the fundamentals of Indigenous traditions and values,” says Markham Mayor Frank Scarpitti. “We are showing our respect to the original inhabitants of the land we now know as Markham while charging toward an exciting future driven by innovation and fueled by talent. The new York University campus fits well with the vision we have for Markham Centre and will build on Markham’s highly skilled, highly educated and diverse workforce." As a partner in IBM’s Innovation Space which focuses on research and development and commercialization. The University has approved a $253 million design and build budget for the new Campus, with construction set to begin this fall. 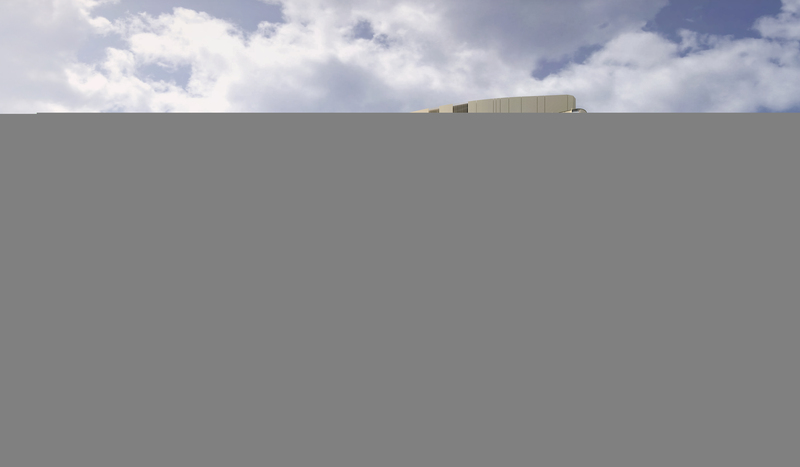 Last year, the Ontario government contributed $127.3 million toward the cost of the new campus and earlier this year, York Regional Council formalized their $25 million contribution. York is also raising funds for this important project from its alumni and friends as part of Impact - The Campaign for York University.